As we flew over from Frankfurt, it's only normal to think about the plane crashing, if the thought has never crossed your mind, you're lucky or lying. I wondered if we would be stranded like those passengers on Oceanic Airlines Flight 815 from the TV series LOST. 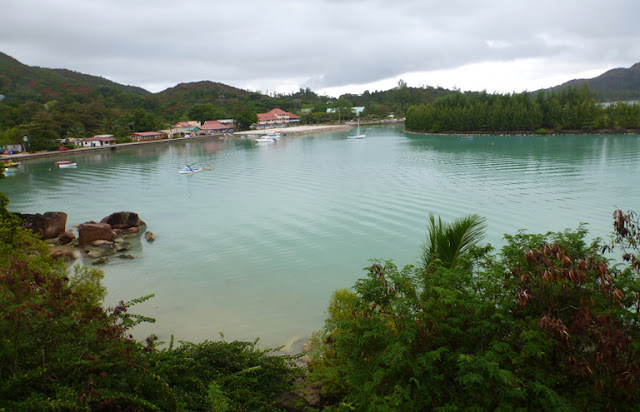 Some people told us that Seychelles is a bit like 1970's britain. A lot of things end up stranded in the Seychelles, such as very bizarre products in the local shops. Entrez "Hair Mayonnaise" for example! 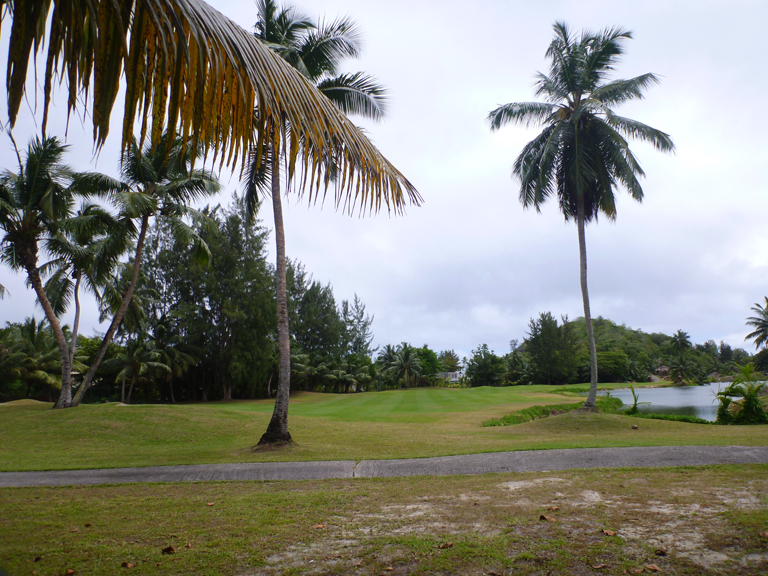 On a random walk out yesterday, I came across Lemuria's golf course, stunning yet empty. Apparently it's quite an affordable rate for tourists and residents (£250 for 6 months or something like that), but we've yet to see anyone on the 18 holes. I met a local guy called Michel nearby, he was opening a coconut with a Machete- ripping through the tough outer husk looked cool, so I thought I'd have a go and I brought 3 coconuts home. Unfortunately, my Machete skills were still quite novice, so after 20 mins and breaking sweat, I had to take a hammer to it in the end. After all that, the coconut juice was sour inside, gutted! I'll try again tomorrow, but as a local shop owner advised, maybe I should use an axe! School reminds me that this is a very real experience, it is not an episode of LOST and it is not a dream. This is the view from the school science rooms, a beautiful view of Baie Ste Anne and a private beach down below. How many schools boast a private beach? SHOUT OUT TO FLO GONTH for the image below. Eventhough I never made your blog, you have made mine on Day 2! The piece is very apt, given that you're a twin and I'm sure that the infinite consciousness that is our universe is trying to tell me something. This piece is a year or two old, so it's way before I even thought about the Seychelles as a place to teach. The world is a funny place. Time to dig out the Family tree Mr Gonthier and ask Papi about distant relatives in the Seychelles. And here is my lovely calssroom, a white canvas for me to work on I guess. My predecessor "Madame L" is an absolute legend and left me with rich Schemes of Work and so much info on the kids. She even asked each member of my form to write me a letter to introduce themselves, reading those have reminded me why I love this profession. On the day we went in, the internet was down and the school server had been hacked many months ago. People literally laugh when I tell them my aim is to restore the network along with our capable technician "H". H is from India, he's pretty sharp and a real nice guy, I look forward to working with him and trying to fix our little network. To put things into perspective, there are 7 teachers in the secondary section and there are 175 students from Reception to Year 10 in the whole school. Compare that to Marylebone's 110 teachers and 1000 students, it gives you an idea of the scale of things. It should be an exciting year ahead; lets solve these IT problems and then we can celebrate with a Seybrew or Ti Shot. More on Ti Shot and home brewed beverages later!